As the population increases, there is a noticeable need for pet care. People are unable to care for their pets due to finances, housing situations, medical problems, or they just don’t know how to take care of their pets. That’s how the quest began for the TAILS Foundation Inc! Classes teaching pet responsibility, nutrition, behavior and more are needed in this community, as there is nothing like it in our local area. Instead of trying to fix the problem afterwards, it is imperative we teach to stop it from happening in the first place. 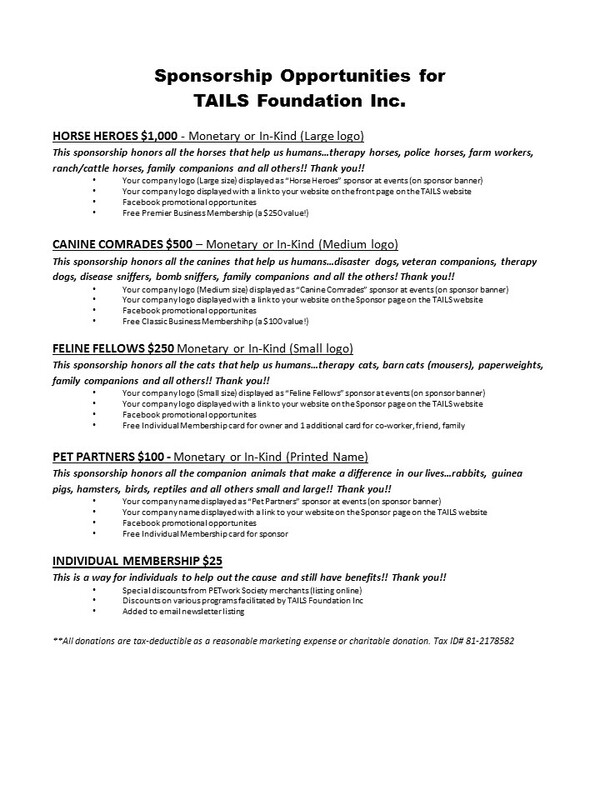 The TAILS Foundation Inc’s mission is to help families care for their pets by providing services, resources and education for optimal health and well-being for all pets! This way, families do not have to give up their pets due to temporary financial hardship. 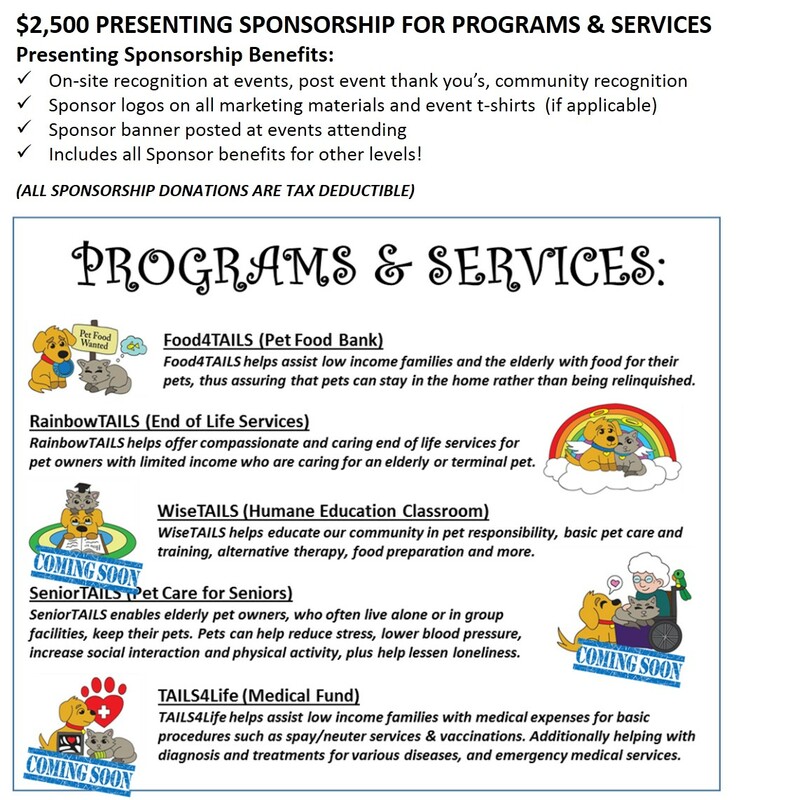 Fundraising and sponsorship dollars will go towards education and pet needs such emergency medical care, end of life services, pet food, and more. The goal is to provide as much assistance as possible so our pets do not suffer due to the financial situation of their people. This also includes working with other non-profits and pet-related businesses to have the best services possible. Your involvement will help the programs be open to even more people, and pets, that need it.